The proposed 24-km-long road amongst Greater Noida and Faridabad will soon be a reality. The project is improving connectivity between Uttar Pradesh and South Haryana and as a result giving a push to the realty prospects in the area. In a boost to the scenarios of the Rs. 400 crore project, Uttar Pradesh Chief Minister Akhilesh Yadav on Monday decided to bear the cost of acquisition of land in the state of proposed road. It is possible to be completed within one-and-a-half-years. Pronouncing UP chief minister, offered a letter of approval to Krishan Pal Gurjar and Union Minister of state for social justice and empowerment. The road will connect Atta-Gujran area in Greater Noida to Jasana-Cheersi-Manjhawali regions in Faridabad. The road will pass through Yamuna Expressway. Around 19 km of the 24 km long road will be in Haryana while a 5 km stretch will be in Uttar Pradesh. Moreover, a 670 meter long four lane bridge would also be constructed on the Yamuna River. While the centre government will provide Rs 250 crore for the bridge, the remaining amount will be contributed by Uttar Pradesh and Haryana. With the completion of this road, customers travelling from Gurgaon, Palwal, Rajasthan and Faridabad to Noida would not need to enter Delhi. This would also benefits customer’s save time and help reduce pollution in the region. This road will also work as a bypass for traffic coming from National Highway-8 (NH-8) and direction towards Greater Noida, Noida, Agra, Lucknow and Kanpur, by avoiding congested Delhi roads. The project will also boost real estate sector. Noida Authority has issued a strict warning to developers that it would take legal action against those who give possession of flats without acquiring occupancy certificates (OC). In a notice issued on Wednesday, the Authority’s CEO PK Agarwal has also asked homebuyers to check detail of realty projects, which have been permitted completion certificates in recent months, before taking possession of a residential unit from any developer. The Authority issues a completion certificate to a particular building after checking the endorsed design plan. Also it issues an occupancy certificate after examining that project is fit for occupancy. A thorough inspection of the building, which covers basic wellbeing, fire security, lifts, electrical establishments etc, is done by the Authority. “If possession is taken over by them (homebuyers) from developers who don’t have the required completion certificates essential for occupancy, it would be at their own risk and Authority would not be considered responsible for it,” the notice says. “While issuing possession or completion certificate, the Authority analyses security parts of the structures or building. Officers from various departments of the Authority conduct site inspection. These departments issue them certificates if the buildings agree to security models. 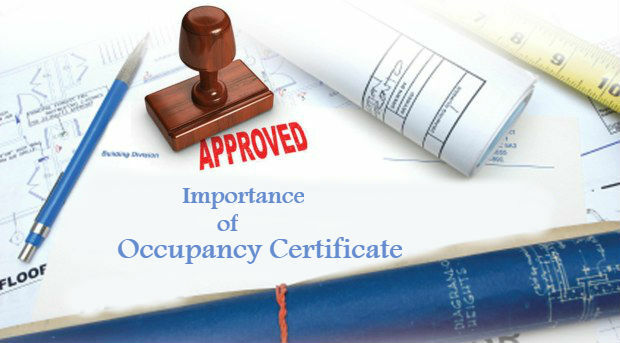 So, want to illuminate the purchasers that before taking possession of their flat, they must check with the Authority if the builder has been issued the necessary certificates.” Getting certifications is the developer’s duty. If a group housing project does not have the essential certifications required for a completion declaration and occupants are staying in the units, it could prove to be safety exposure to property and life, Agarwal CEO said. On those homebuyers who have already moved into their “dream homes” without the required certificates, Agarwal said that “a board is already in place to conduct immediate checks of projects”.